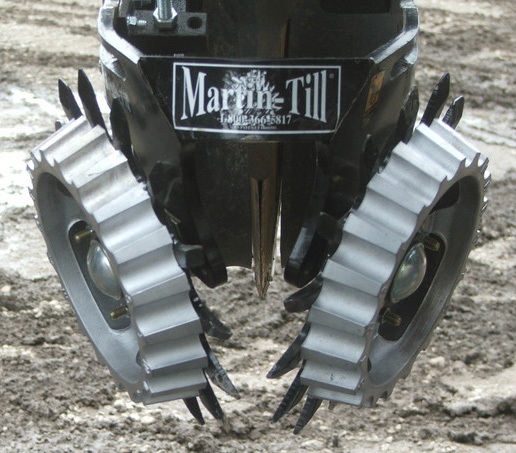 Martin Floating Row Cleaners are designed to follow the contours of the soil surface while consistently moving residue clear of the gauge wheel path. 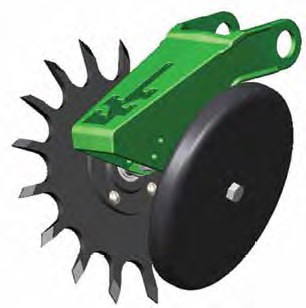 This allows the gauge wheels to run in cleared zone to promote uniform depth control and quicker soil warming and rapid emergence. Martin Spading Closing Wheels move soil toward the seed at planting depth, while lifting and fracturing the surface layer to achieve compaction-free closing of the seed trench. Crops will emerge sooner and planting can be done at proper depth, even in wetter conditions, without fear of crushed soil above the seed, preventing emergence.